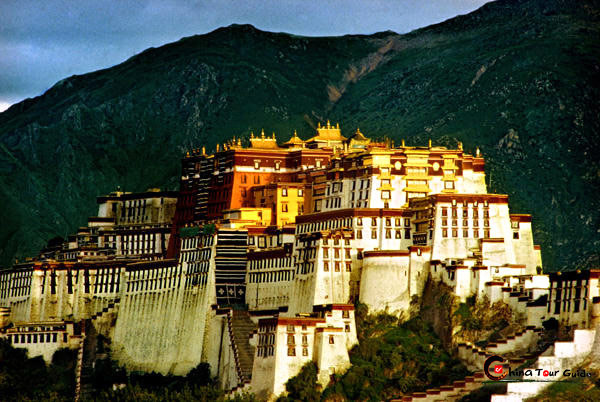 The Potala Palace is located in Lhasa, Tibet. 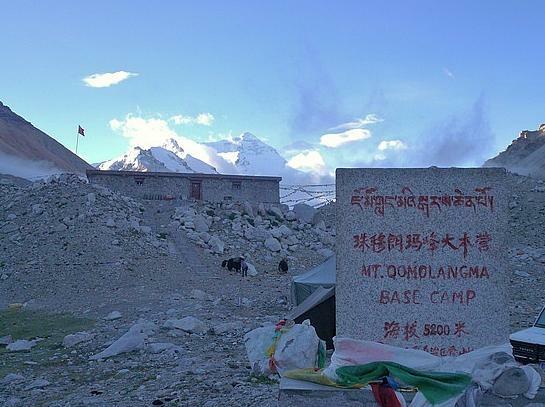 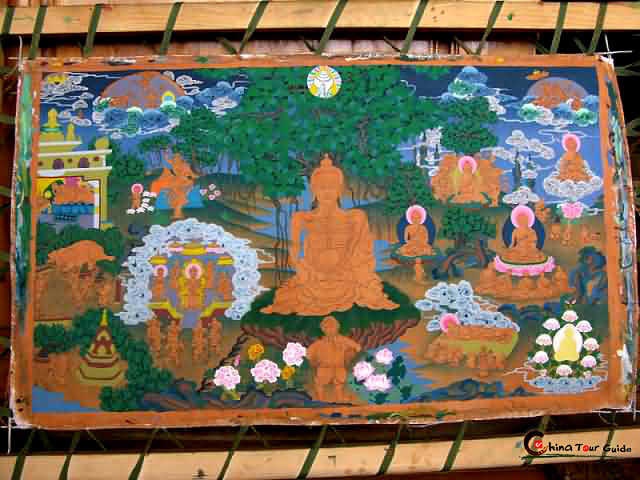 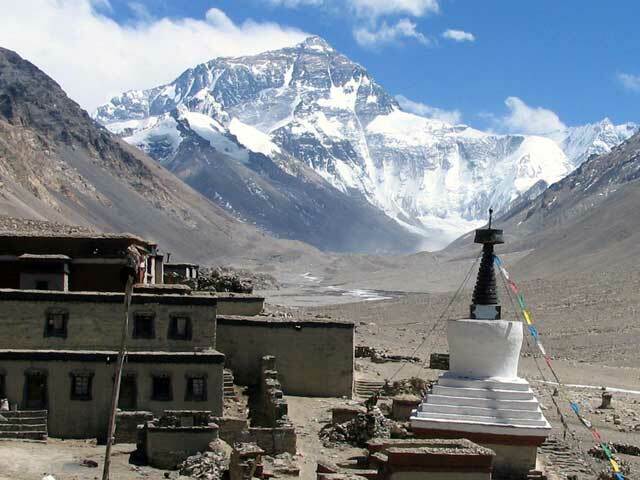 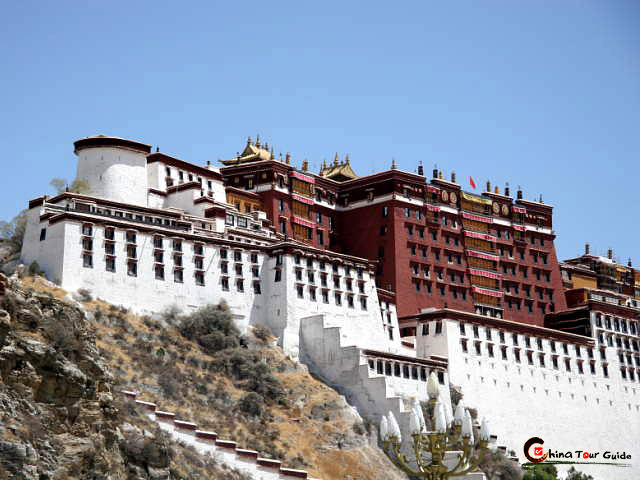 It was named after Mount Potala, an important mountain in Buddhist traditions. 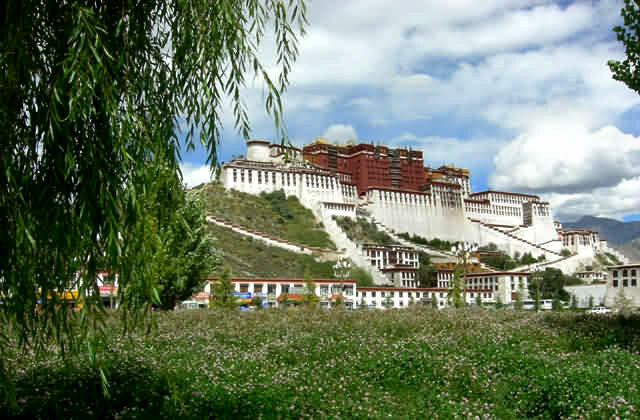 The Potala Palace was the chief residence of all Dalai Lamas until the 14th Dalai Lama fled to Dharamsala, India after an invasion and failed uprising in 1959. 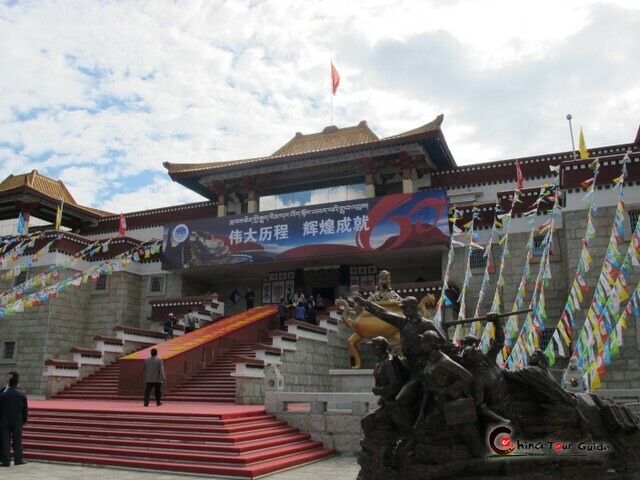 Today the Potala Palace has been converted into a museum by Chinese authorities. 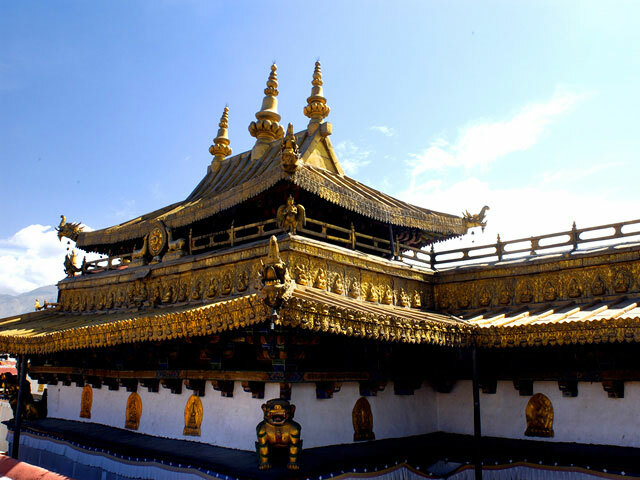 The Palace buildings stand 13 stories high and contain over 1,000 rooms, 10,000 shrines and 200,000 statues. 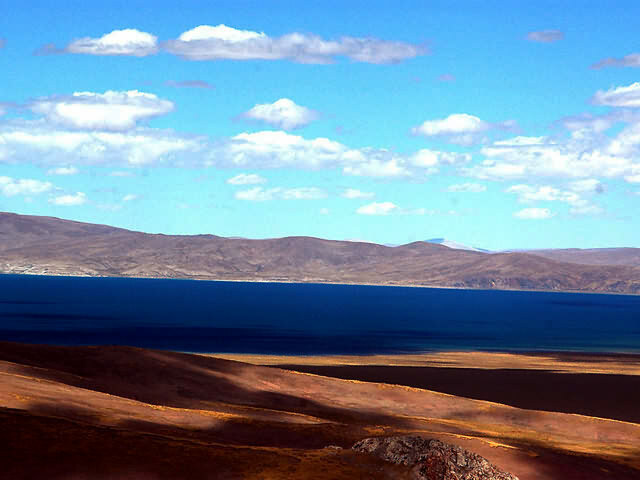 These tower 117 meters (384 ft) above Marpo Ri, means "Red Hill", and more than 300 meters (1,000 ft) above the valley floor. 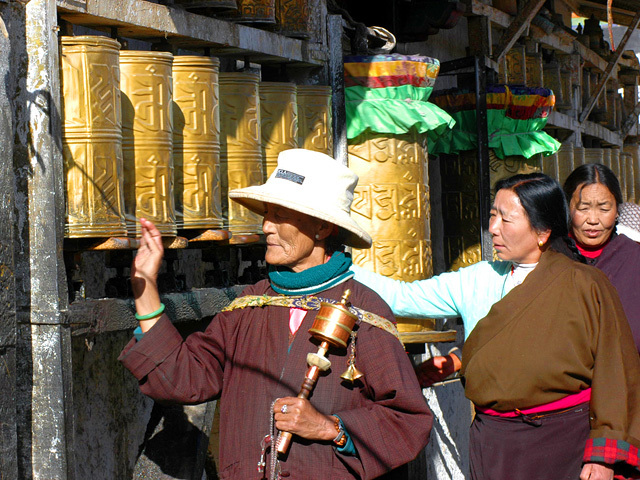 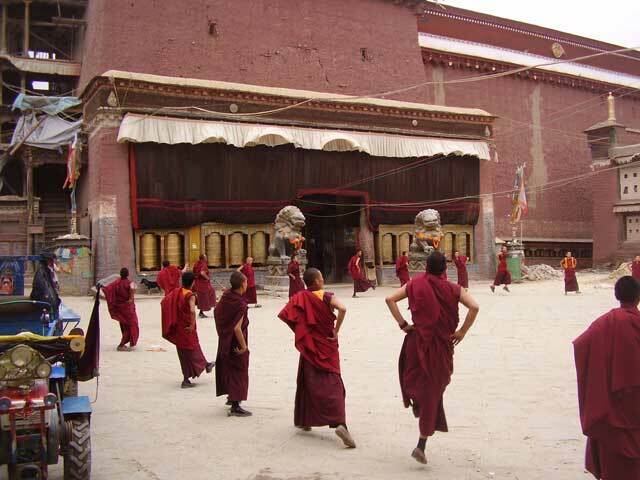 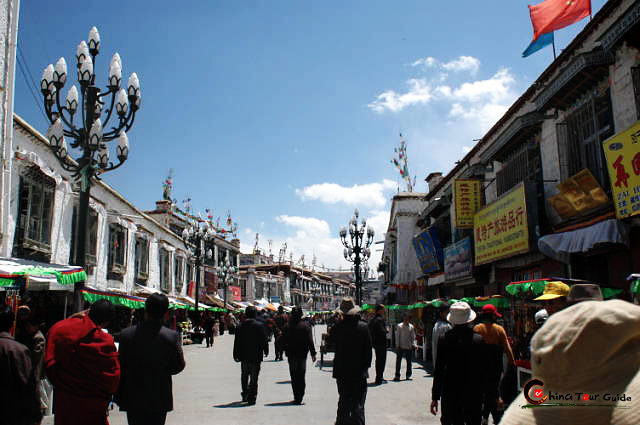 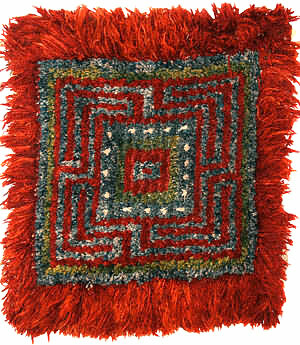 Tradition says that the three main hills of Lhasa represent the "Three Protectors of Tibet." 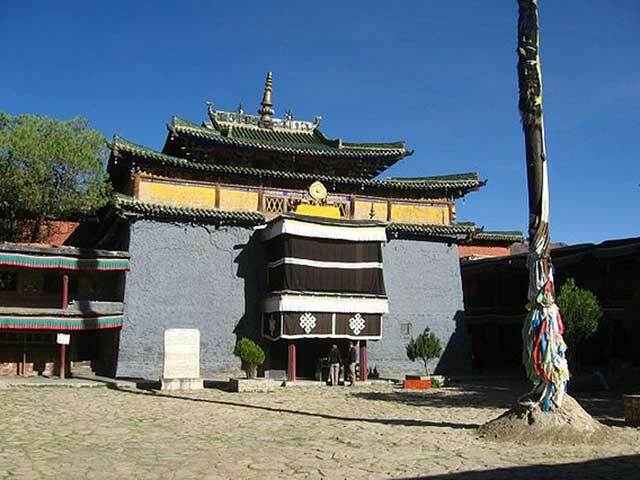 The site was used as a meditation retreat by King Songtsen Gampo, who in 637 built the first palace there in order to greet his bride, Princess Wencheng of China's Tang Dynasty. 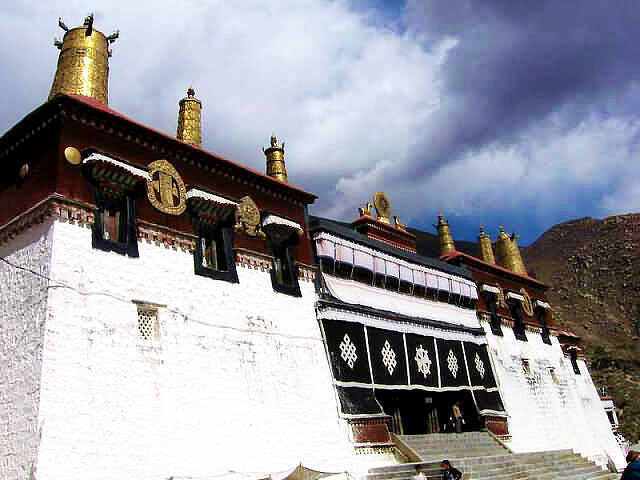 Lozang Gyatso, the Great Fifth Dalai Lama, started construction of the Potala Palace in 1645 after one of his spiritual advisers, Konchog Chophel, pointed out that the site was ideal as a seat of government, situated as it is between Drepung and Sera monasteries and the old city of Lhasa. 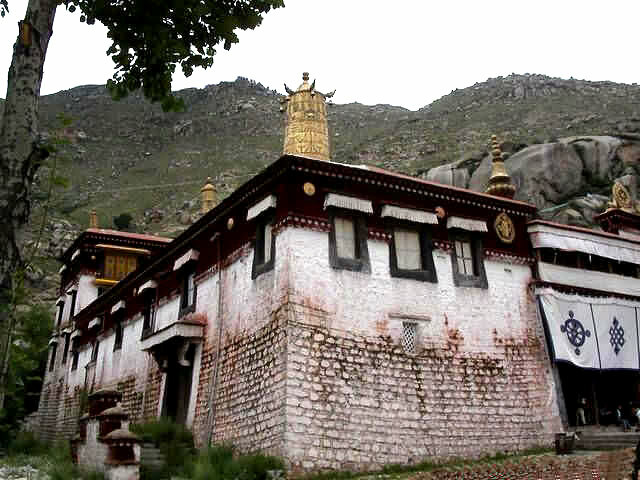 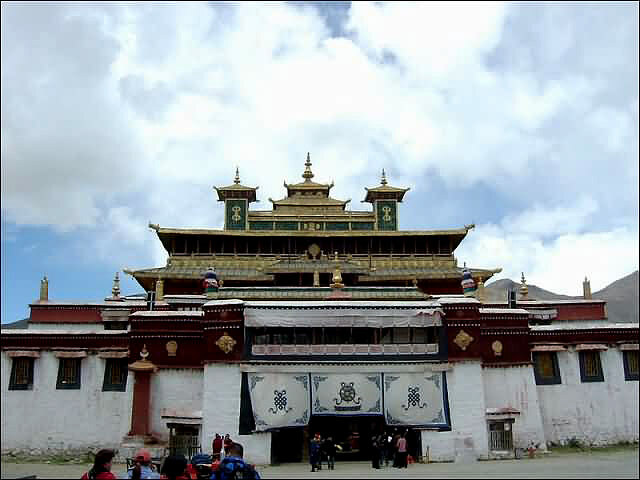 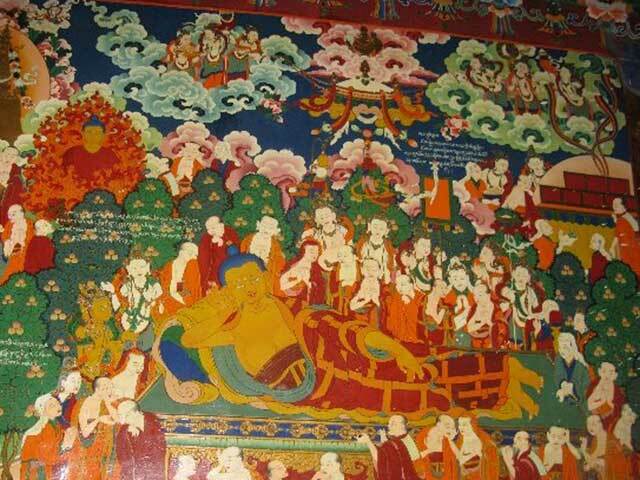 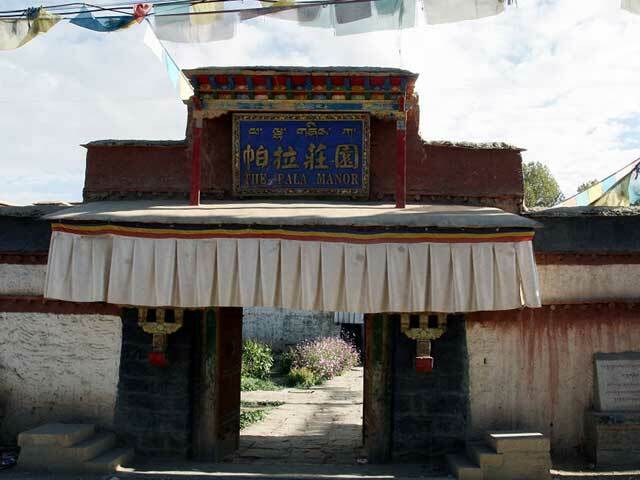 The Dalai Lama and his government moved into Potala's Potrang Karpo ('White Palace') in 1649. 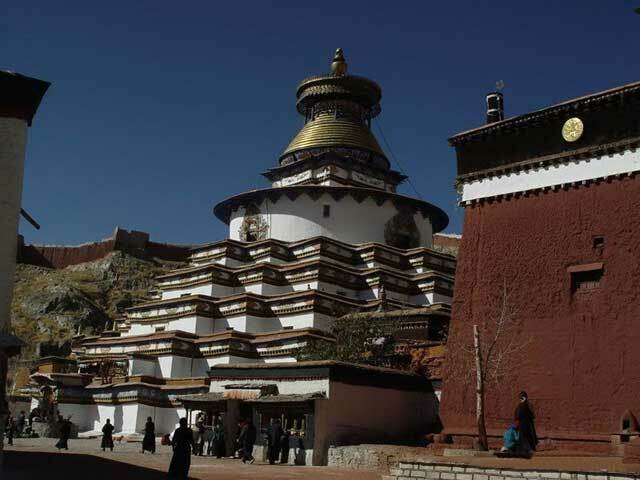 Construction lasted until 1694, some twelve years after his death. 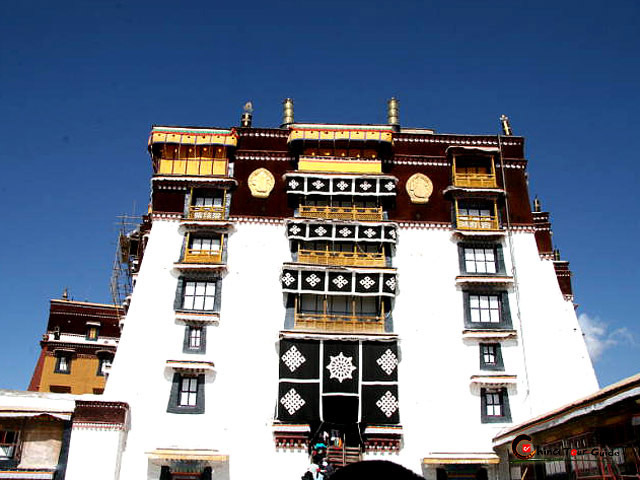 The Potala was used as a winter palace and the chief residence of the Dalai Lama from that time on. 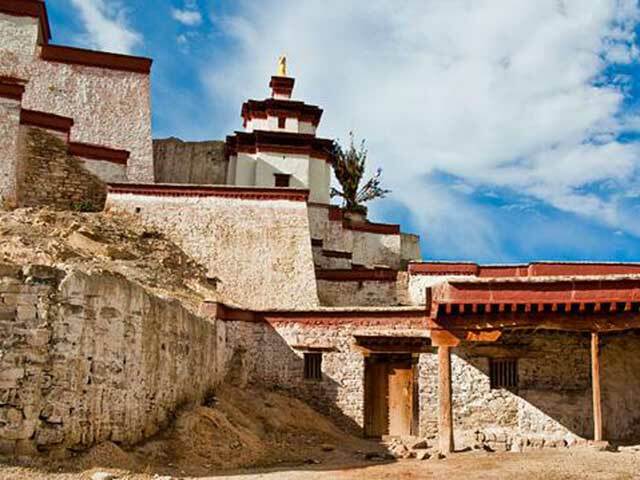 The Potrang Marpo ('Red Palace') was added between 1690 and 1694 and got its name from a hill on Cape Comorin at the southern tip of India. 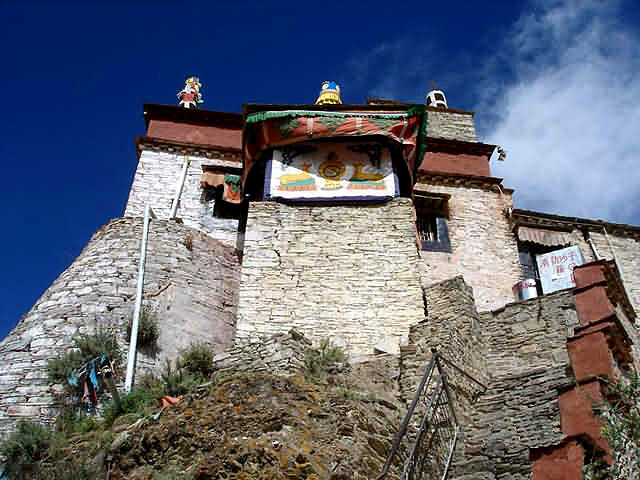 This is a rocky point sacred to the God of Mercy, whom the Indians call Avalokitesvara and the Tibetans worship as Chenrezi. 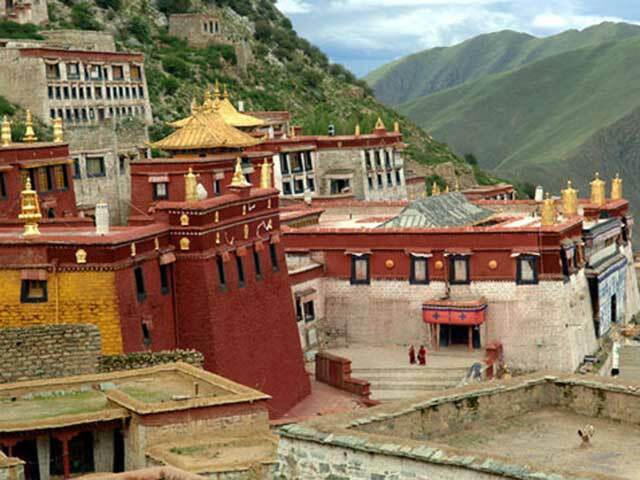 The Tibetans themselves rarely speak of the sacred place as the "Potala", but rather as "Peak Potala" (Tse Potala), or usually as "The Peak." 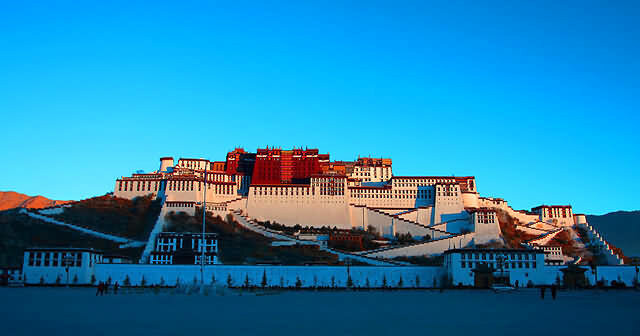 Built at an altitude of 3,700 m (12,100 ft), on the side of Marpo Ri ('Red Mountain') in the center of Lhasa Valley, the Potala Palace, with its vast inward-sloping walls and flat roofs, is not unlike a fortress in appearance. 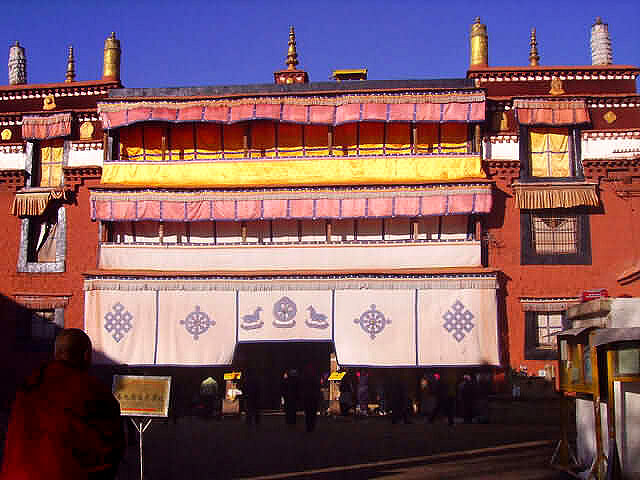 At the southern base of the mountain is a large space enclosed by walls and gates, with great porticos on the inner side. 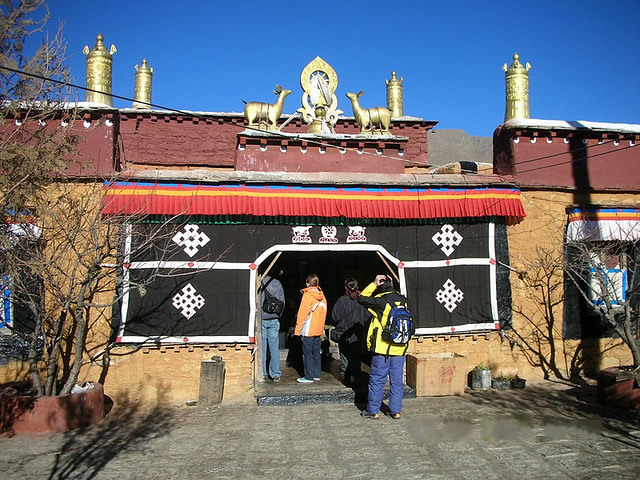 Visitors can climb up a series of easy staircases to the mountain's summit. 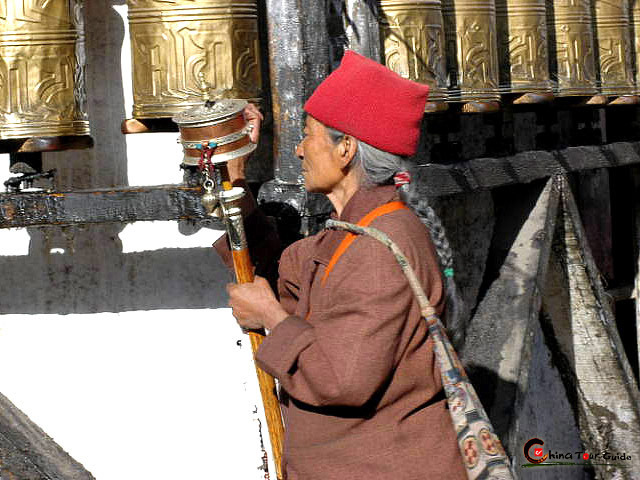 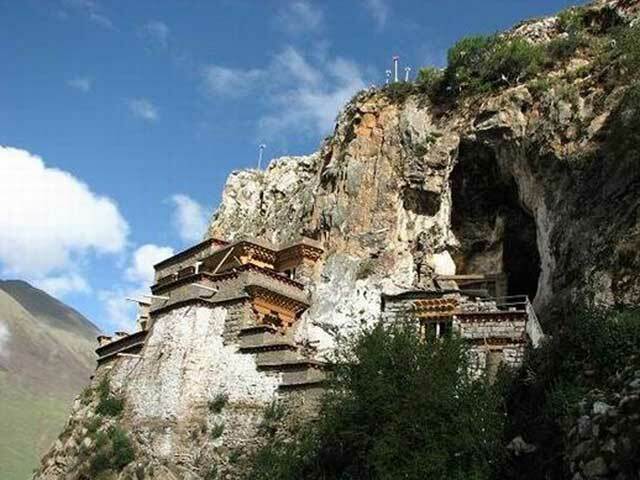 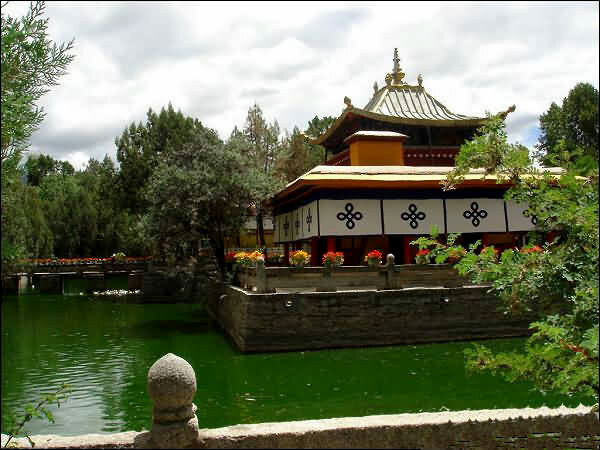 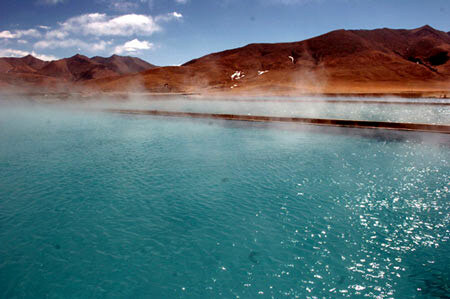 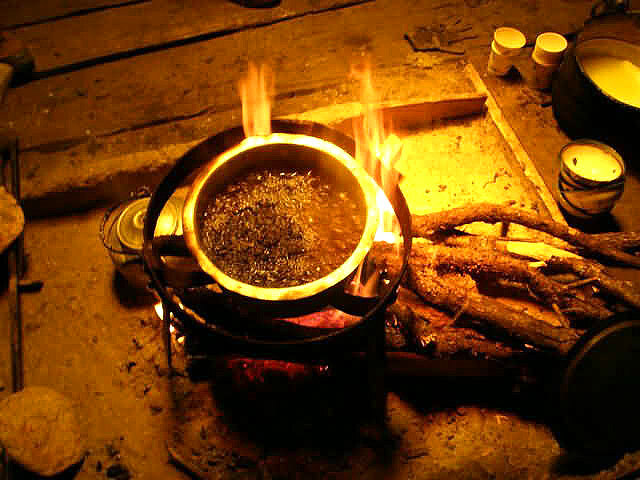 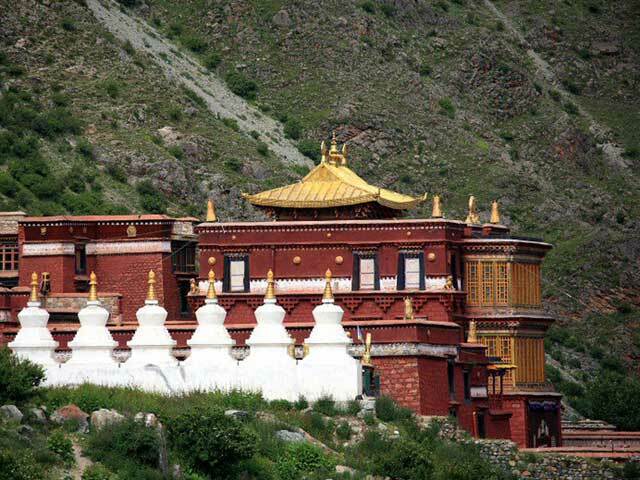 From the top, they can enjoy a splendid view of the palace and the beautiful Lhasa Valley below.